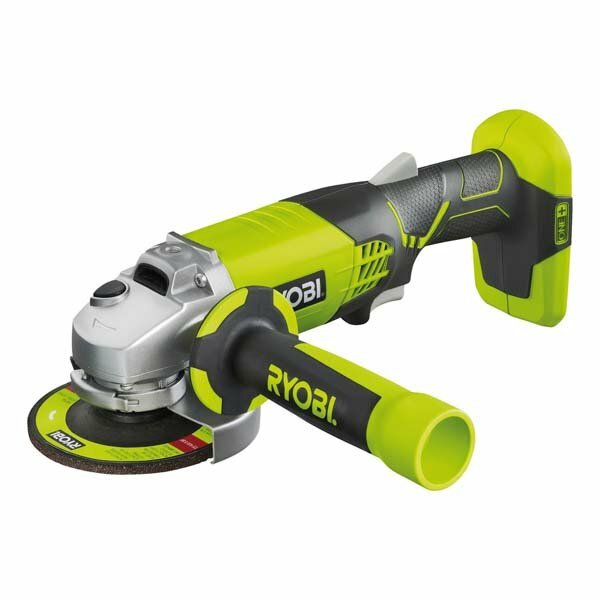 A power tool for cutting and polishing, a Ryobi grinder can be used to slice through tiles, cut paving slabs, and remove surface rust. This makes them a vital handheld power tool for mechanics, metalworkers, and those in the construction industry. They can also be used for domestic tasks, too. Whether for commercial or home use, we have an angle grinder to assist. Available singularly or as part of a Ryobi grinder kit, our Ryobi angle grinders offer excellent performance from a well-respected brand. 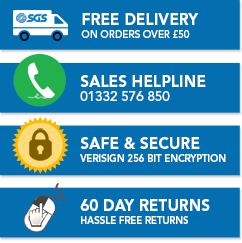 They are also suitable for a variety of budgets, so you can purchase the tool you need without breaking the bank. On this page you can browse our selection of Ryobi 18V angle grinder models. These can be used on more delicate tasks, such as removing paint, to more robust jobs, like shaping stone. Being suitable for multiple applications, there’s no end to what these Ryobi grinders can do. As well as being easy to use, Ryobi ONE+ grinders are also comfortable to hold. This is due to their ergonomic handle. This can be placed at three different angles, to ensure the perfect position. What’s more, the handle also incorporates Ryobi’s patented moulding, making it comfortable to use for extended amounts of time. These features make a Ryobi cordless grinder an excellent choice, but when you buy from SGS Engineering, you also get great service. Order a Ryobi ONE+ angle grinder from us today, to receive expert advice and the option for next day shipping.